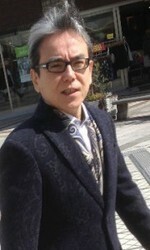 Takahiro Baba is the CEO of the Japanese anime, game, and visual novel maker VisualArt's. VisualArt's is well known for the production of "CLANNAD" and "Angel Beats!" as well as distribution of I've Sound SAGA PLANETS. Since the founding of the company in March 1993, VisualArt's continues to contribute to a sub-culture that produces creators that represent and influence this aspect of Japan. Baba is also a songwriter and creator. His hobbies include an interest in cooking, and he holds a rank of 2nd dan in kendo. Baba's notable works include "Kanon" (2002 and 2006), "AIR", "CLANNAD", "Angel Beats! ", "Little Busters! ", "Charlotte", and "Rewrite", among others.